SIMPLE Mobile urges people to make an escape from their wireless contract by switching to SIMPLE Mobile. 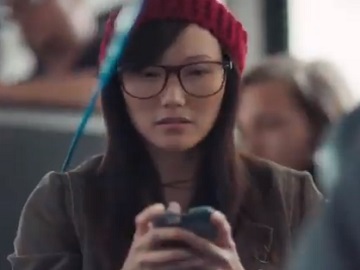 The 30-second spot features the company’s spokesman on a bus where passengers are using smartphones that are tied to colorful cords hanging down from above. “The big wireless companies are panicking. They sold you an outdated plan tied to long term contracts and mystery fees. They know it’s only a matter of time before you switch to something simple,” he says, showing a SIMPLE Mobile SIM card, which he inserts into his device, causing thus all the cords tying people to release and fall from above. The commercial ends with the voiceover highlighting that, with SIMPLE Mobile, you can keep the phone and number you love and urging you to text BYOP to 611611 to see if your phone is compatible and all for less money with no contract ever. “Get truly unlimited 4G LTE data for just $45/month,” the voiceover also says at the end of the spot, adding the tagline “Out with the old, in with the simple”.